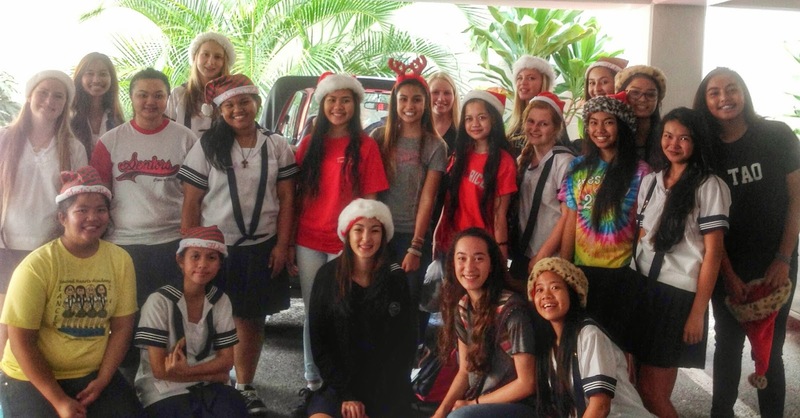 Santa went to Loliana Hale in an orange Jeep with elves from Sacred Hearts Academy. Gifts prepared by homerooms were distributed to the 89 children amidst the singing of Christmas carols and the jousting of a piñata. Everyone had a wonderful time sharing in the Christmas spirit.